Social media giant Facebook has banned praise, support and representation of white nationalism and white separatism on its platforms. This move came after the recent Christchurch mosque shooting. 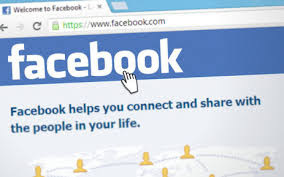 Further, Facebook has stated that it will direct users who post or search content connected to these ideologies to an organization that helps people leave hate groups. Social Media platforms were under pressure and criticisms that they have failed to confront extremism. Social Media was under the spotlight after a suspected white supremacist broadcasted live footage of his attacks in Christchurch, New Zealand. White Supremacy is defined as a belief system with tenets like "whites should have dominance over people of other backgrounds, especially where they may co-exist; whites should live by themselves in a whites-only society; white people have their own 'culture' that is superior to other cultures; white people are genetically superior to other people." White Nationalism is defined as a "euphemism for white supremacy". White Nationalism emphasizes defining a country or region by white racial identity and which seeks to promote the interests of whites exclusively, typically at the expense of people of other backgrounds." Q. Which social media giant has banned praise, support and representation of white nationalism and white separatism on its platforms?